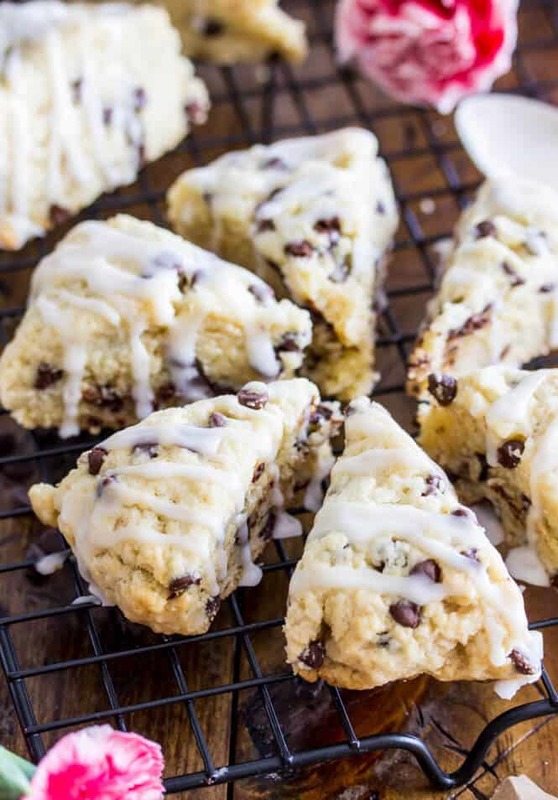 If you’re craving slightly sweet, buttery, tender scones for breakfast, these mini chocolate chip scones with a vanilla glaze are for you! 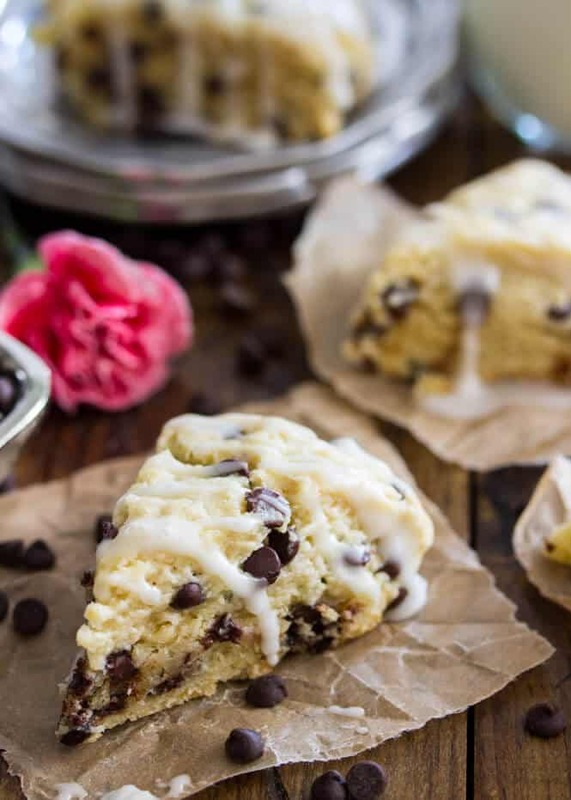 Packed with mini semisweet chocolate chips and cloaked in a sweet vanilla glaze, these scones are bound to be your new favorite. 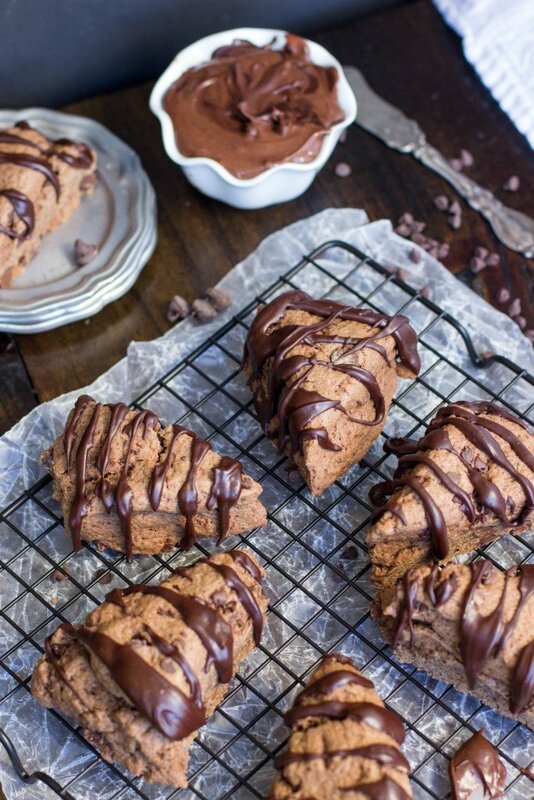 Read on to learn how to make the best chocolate chip scones! I love Cyber Monday*, mostly because Black Friday has never been my thing and I usually miss out on all the best sales. When it comes to Black Friday shopping, I just can’t do it. I can’t stand crowds, I can’t even go grocery shopping during peak times — I wait until Sunday football games are on and go then just to avoid scrambling around shopping carts and hapless shoppers. So last weekend while most of the world around me was scrambling for sales and grappling for the last Hatchimal, you can bet that I spent the prime shopping hours in my pajamas with Pandora on in the background and my oven warming to 350 degrees. 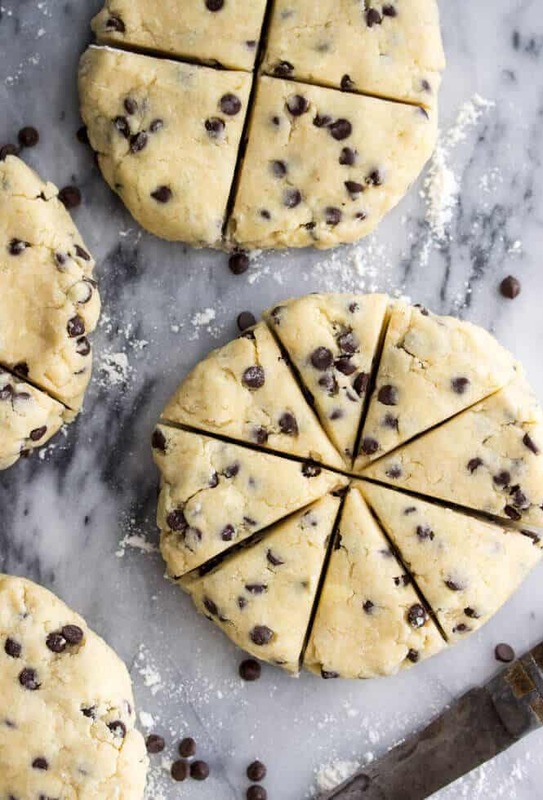 There’s no sale great enough to lure me out into the masses and away from my kitchen, especially not when there’s a batch of mini chocolate chip scones to be made. 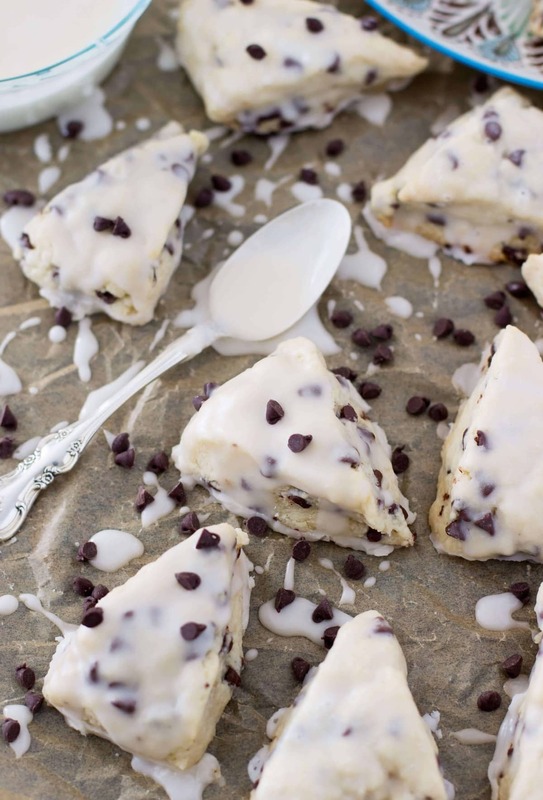 These chocolate chip scones are an all-time favorite in my family. My siblings call them the “best scones ever”, and I honestly agree. 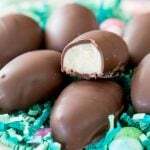 They’re tender, flaky, exceptionally buttery and polka-dotted with sweet miniature chocolate chips. 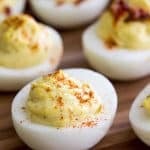 They’re made with generous amounts of butter, no eggs, and a full cup of heavy cream, which gives them an amazing texture. 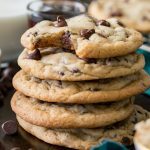 Between a smallish scoop of sugar and chocolate chips, they’re sweetened just enough, and make a great breakfast companion. 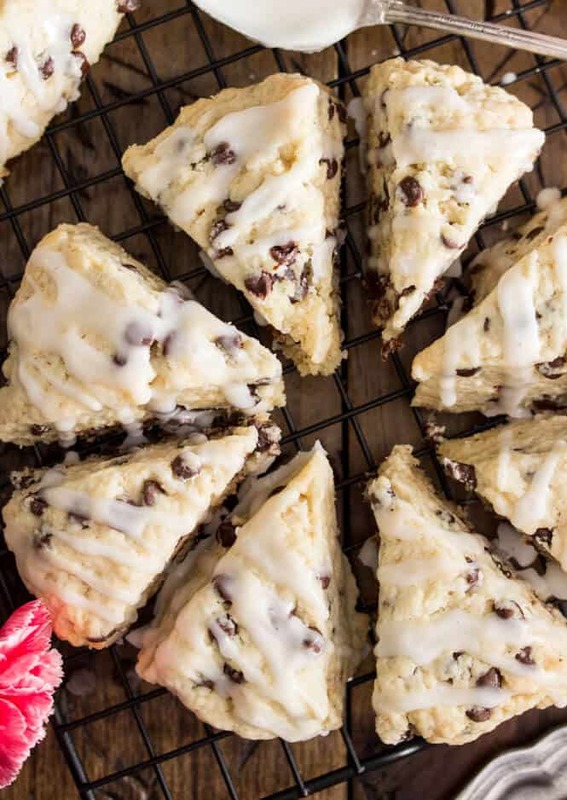 I topped each chocolate chip scone off with a light vanilla glaze (I almost did a chocolate glaze, but didn’t want to make things too chocolaty here — that’s what this chocolate scone recipe is for). 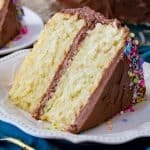 You can skip the glaze if you’d like, but it’s only 3 ingredients and so simple to make that I really hope you’ll try it out. 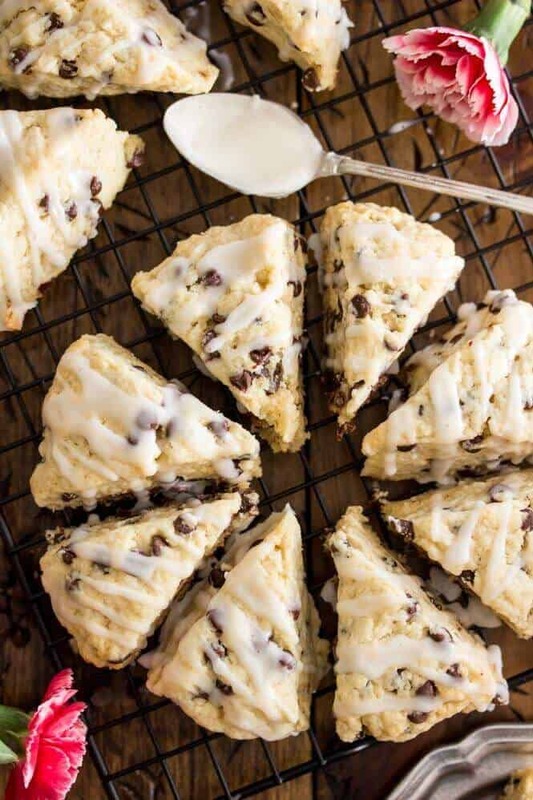 I recommend having an electric mixer, or preferably a stand mixer (affiliate), handy when making these chocolate chip scones. The dough is very dry and crumbly, and will give you an almost impossible arm workout if you try to do it by hand. 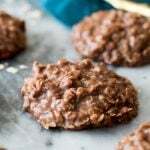 Give everything a few stirs with your stand mixer, and then use your hands to work the doughy crumbles into 4-5″ disks. Cut them into 16 regular-sized or 32 petite scones to suit your preference. I honestly prefer these bite-sized, so I always make them miniature. 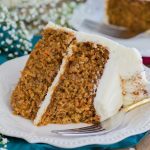 If you don’t have a family of 8 to feed as I did when I developed this recipe, you can always half the recipe, but in my opinion there’s no such thing as too many scones. 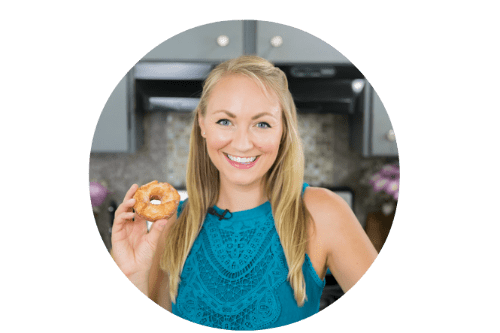 *Check out this deal on KitchenAid mixers today (affiliate, but seriously this is an amazing deal)!!! 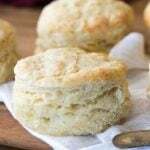 Once scones are cooled, dip, drizzle or spoon the glaze lightly over the top of each scone. Allow it to sit and harden before serving. 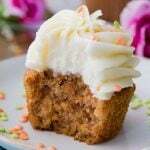 Thanks for an incredible tasting, easy-to-follow recipe!! Hello Sam! 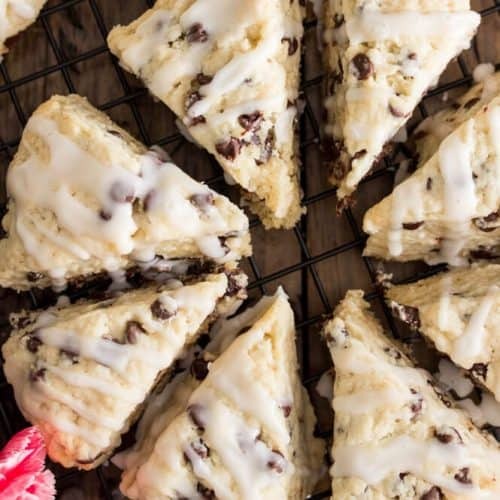 These scones look delicious and a perfect addition to my brunch menu, but I already have a ton to do the morning of the brunch. 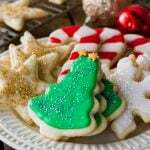 I was wondering if it is at all possible to make the dough a few days before and bake them the day of? 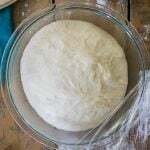 Would I need to thaw the dough in the refrigerator?